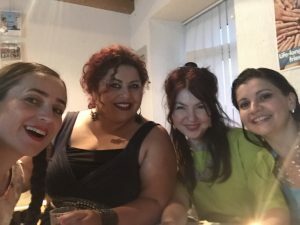 When the Balkans, the ″gunpowder of Europe″, exploded in the 90s, the war demons gathered among the people taking many lives. The blind hatred and the hunger for power decimated many people, reminding us how little we have learned from the last war. Nationalist, sterile ideologies, have emptied many souls, poisoning them with illusions and sending men to kill others without discernment. 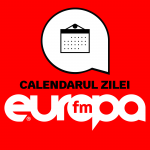 Albanians against Serbians, Serbians against Croatians and Slovenians, Serbians against Bosnians, Croatians against Bosnians, orthodox against catholic and Muslims, everyone against everyone. Even today, the marriages between people coming from different local ethnicities/nationalities are seen as against the natural order. What happened in South-East Europe, even the genocides, forced a way out. The politicians built a fragile peace; new multi-ethnic states, some of which were artificial, in which the desire for revenge reigned. Everything that now seems solid is rather a weak construction. The minorities are everywhere threatened by the majorities to extinction, and the redrawing of the frontiers from this area to create ethnic homogeneity still remains the ultimate aim. 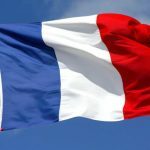 As Europe rose from the ashes of a war heading towards the perennial terrain of Christian values, it searches for a way to build bridges over this land. Horrified by the horrors of the recent war some people decided to shake hands, and to do whatever possible that these things will not be repeated. The appeal to the foundation of Christianity, taking Jesus Christ’s teaching as a role model of leadership, was something natural. How can you build something everlasting, how can we be united in the same noble purpose without loving your neighbor or life itself? 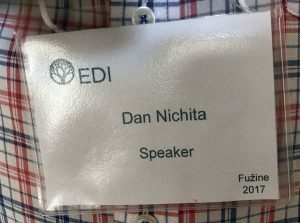 The answer in the economy field, but also in the field of politics, is in the Economic Diplomacy and Integrity Forum (EDI); a private initiative, created by prayer and an unusual mix of American diaspora and Serbian realism. 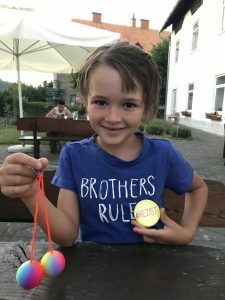 Going beyond the Eastern European borders of long ago, becoming in a moment of time a space of economic debates of good qualities and much more. 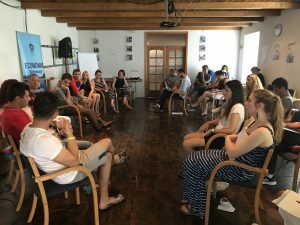 Young leaders and professionals from eleven countries came together in the summer of 2017 to Fuzine, Croatia to learn about leadership of service, integrity, reconciliation and peace building. What does the director of this forum, Dr. Justin Kagin, say about this initiative, that is now 11 years old? 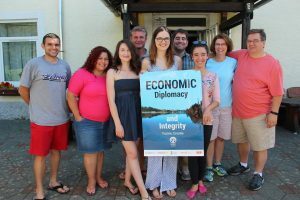 “Economic Diplomacy and Integrity (EDI) is an initiative designed to support the development of professionals and students in the areas of economics, business and politics with integrity based on the life and teachings of Jesus. 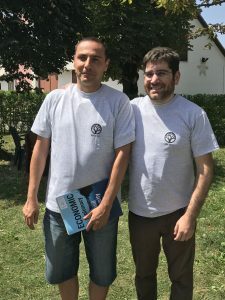 We believe that the best way to fight against unhealthy rivalry among and within nations is to establish an economic and political community based on Jesus’s life and principles. Principles like integrity, moral leadership, service to the community, a focus on the poorest and their needs, faith, and transparency can help combat corruption, selfishness, hopelessness, debilitating unemployment, and abject poverty. Our hope is that when these experiences and principles are applied, they will end up changing and developing the region, not just in terms of economic growth, but through the creation of a community of leaders committed to good economics and politics and most importantly, to each other. 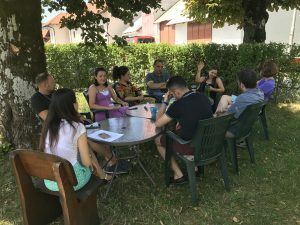 By taking part in EDI with a number of others from several countries we undertake an intensive and inspiring journey that will enrich you emotionally, intellectually, relationally and spiritually, and motivate you to make a difference in your country and community”. 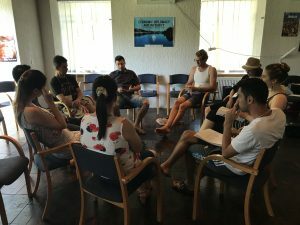 The forum takes place in Fužine, Croatia, in Hope House, a building constructed with the help of volunteers, in the beautiful mountain scenery. 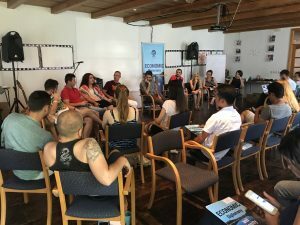 This year, the main themes discussed were corruption, Christian democratic principles, the importance of good leadership in politics as well as business development. 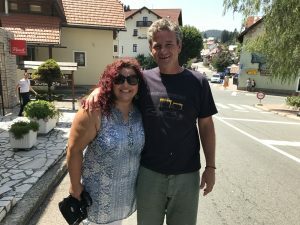 There were speakers from Great Britain, Spain, Romania, Macedonia, Serbia, US, Croatia, and the Netherlands. 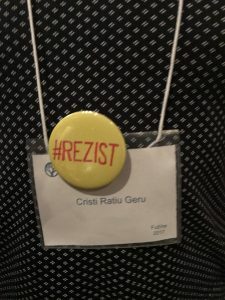 The theme that I presented was ″How corruption undermines the rules of law″ giving as an example Romania and stressing civic conscience demonstrated by the phenomenon #Rezist. The change starts with us, this civic attitude is a small gesture that can have a big difference for the motivational impulses of the participants. Some personal testimonies complete the picture of warm relationships, where tolerance and kindness prevails. “Who is my neighbor? How do I bring change? At EDI young people are encouraged, challenged to ask tough questions. EDI put the teaching of Jesus at the head of how it helps people learn about politics, diplomacy, business and it leads them to impact their society. For me EDI inspires people to be proactive leaders who ask who is my neighbor, how do I help them”. 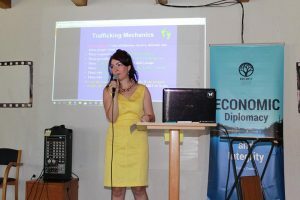 „Human trafficking is modern slavery”, said Aurora Martin, anti-discrimination and gender expert, in her presentation. 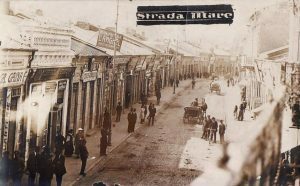 (Galerie foto) Pe urmele unui imperiu dispărut… Imperiul Austro-Ungar. 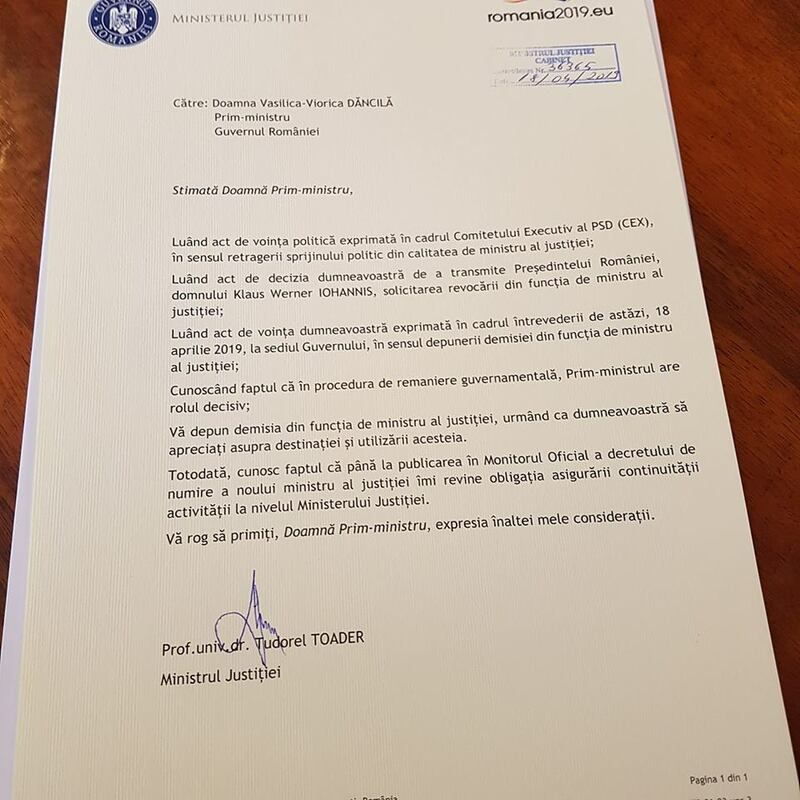 Tineretul nu mai tace! 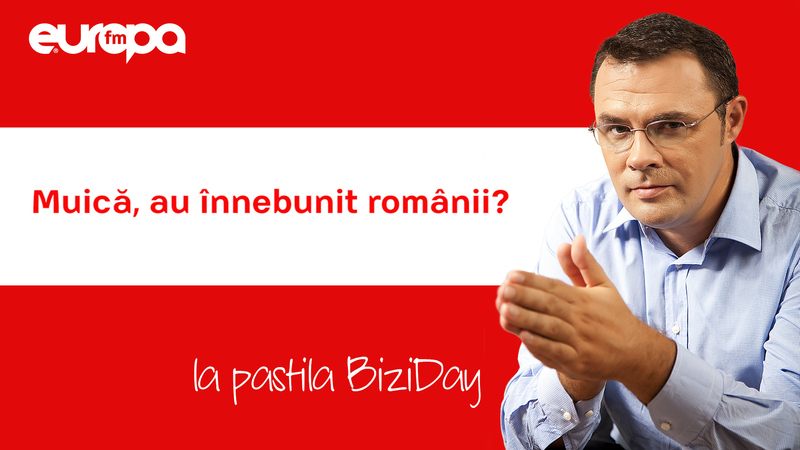 Tineretul (re)acționează! 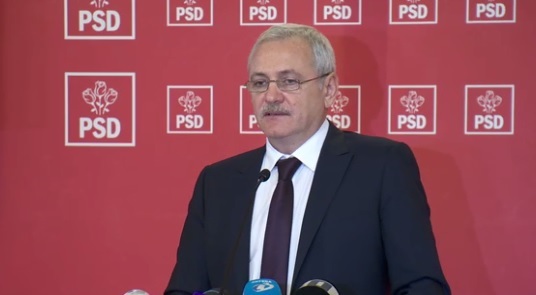 Spune-ți părerea!